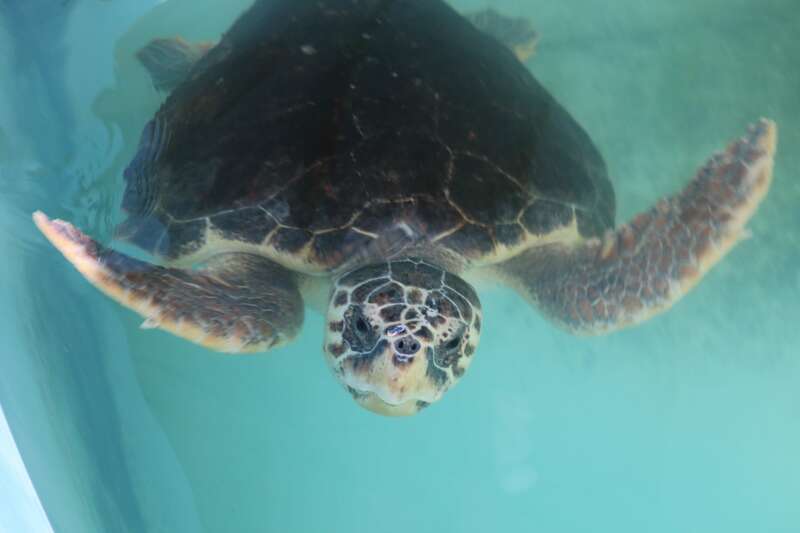 Dome was a cold stunned turtle that stranded in January 2018 with secondary illnesses. The animal was named Dome because it has a dome-shaped carapace. 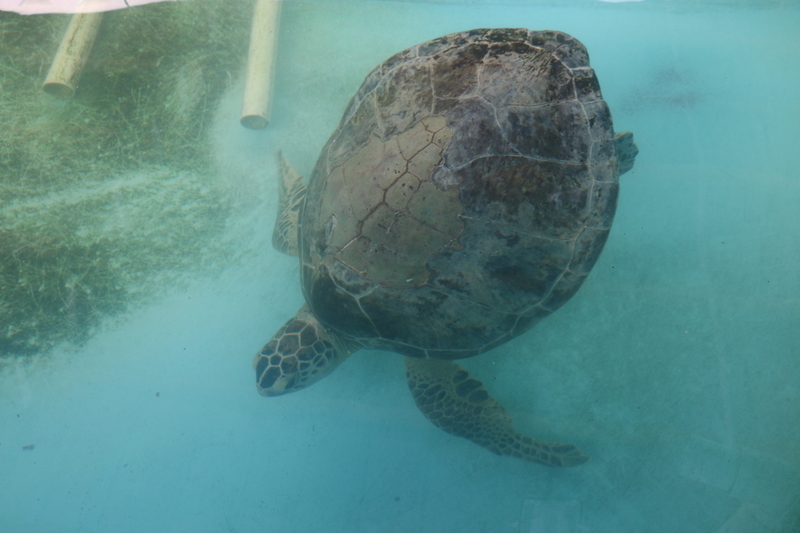 Dome demonstrated a buoyant caudal (rear) end, but was able to manage the water column in habitat. 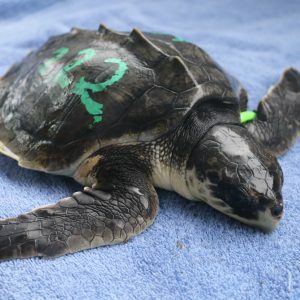 The animal’s blood work showed infection and damaged scutes in the center began peeling off, exposing bone underneath. The bone is undergoing a slow healing progress right now. Dome is still displaying some buoyancy control issues and is being monitored carefully.